Suryanarayana Temple is amongst one of the holiest temples in India dedicated to the Sun God. 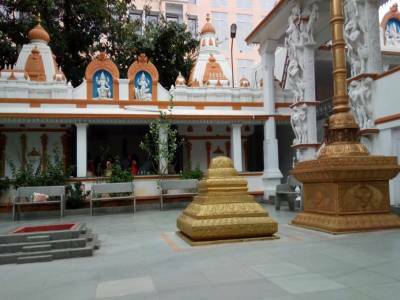 The temple is in Domlur in the city of Bangalore (present Bengaluru) in the state of Karnataka. 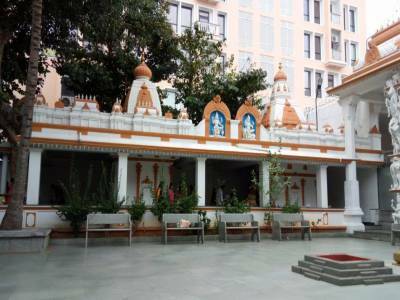 Shri Patel Dr. Krishna Reddy built the temple in the year 1995. 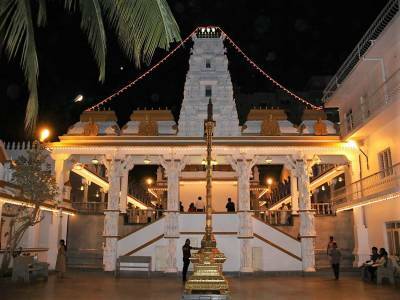 This temple happens to be one of the most visited temples in Bangalore. Typical Chola architecture is what the temple portrays. The temple has got a huge golden tower having a number of colourful figures on it. The idol of the presiding deity within the temple is 3.25 feet high. This idol has been brought from the famous Badrinath Temple. Idols of Aditi and Kashyapa are positioned below the idol. Plenty of more idols are also placed close to the main idol like that of Goddess Saraswati, Lord Brahma, Goddess Vaishnavi, Adi Sheshasayi, Panchamukhi Ganesha and Ugranarasimha. Devotees and followers in numbers go to visit the temple for seeking the blessings of the Sun God. The ideal time for visiting the temple is during the month of January on Rathasaptami day when annual fair of Suryanarayana Swamy takes place. It is during the festival time that the idol of the Sun God on a 32 feet long massive chariot is pulled by the pilgrims. One can also plan to visit the Lord Shiva Temple located nearby at Murugeshpalaya. 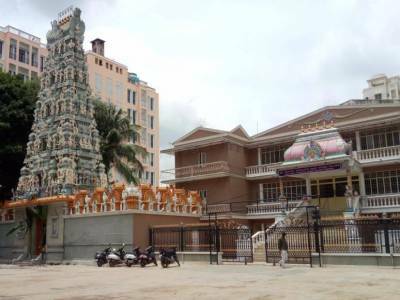 The distance of the Suryanarayana Temple is only at a meagre distance of 8km from Bangalore and is thereby very easily accessible by both car and bus. The temple has got a beautiful and serene atmosphere. In the night colourful light bulbs light up the temple creating an environment to behold and admire. On Sundays, the day especially devoted to the Sun god Surya, special prayers and rituals are performed. The temple is at its best when it comes to cleanliness. 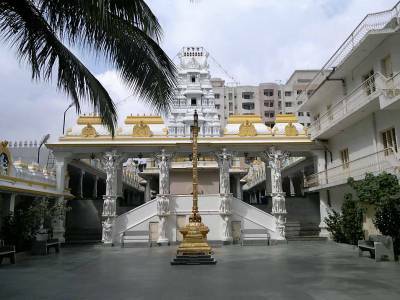 Get quick answers from travelers who visit to Suryanarayana temple.